For today's animal print prompt I went with the classic leopard print, since I'd never done it before. It's so easy! To make it a little more exciting I inverted the colors on my accent nail. I started with a base of Julep Otte (really pretty on its own too!) 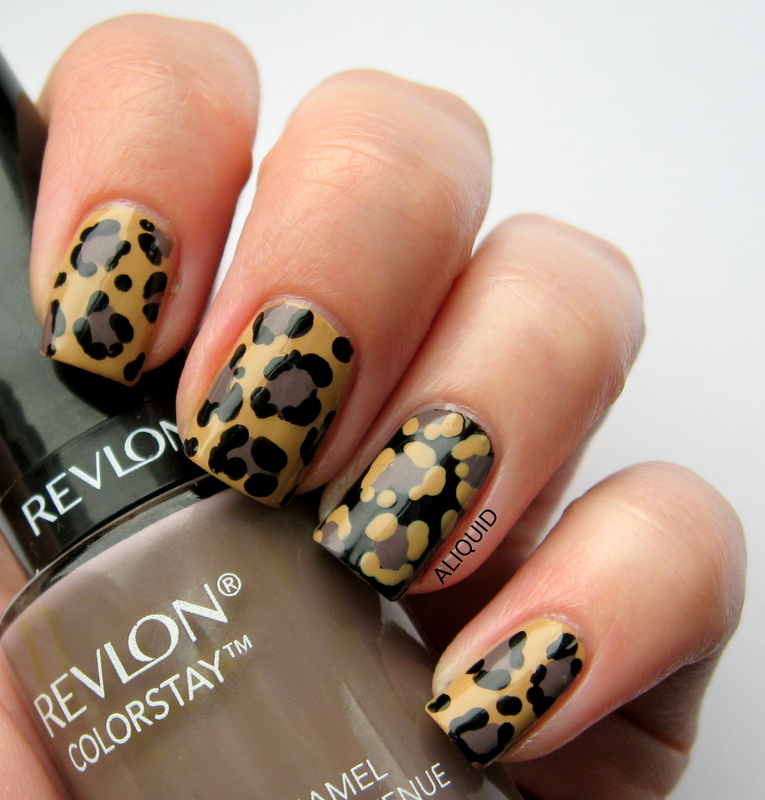 and added the spots with a dotting tool using Revlon Stormy Night and Revlon Stiletto. Don't forget to check out everyone's wild manis! love it! its weird how you had a random turkey running around hahaa! He keeps coming back too! Drives the dog nuts! Wow those look awesome!!! I could never do that and make it look so nice! Love the leopard AND the turkey! Hi. I just joined the North East bloggers group. I'm from MA, but live in NH now. I'm a nailpolish addict. I thought that I had a lot, I have just over 200. I take part in a thing every Friday called Nail files.